From $6,945 USD + SHIPPING & GST Contact Yellaterra for current landed price. Renown Aussie aftermarket performance and supercharger specialist YellaTerra are thrilled to announce the release of the 2018-19 Camaro Whipple kit in anticipation of HSV release Down Under. 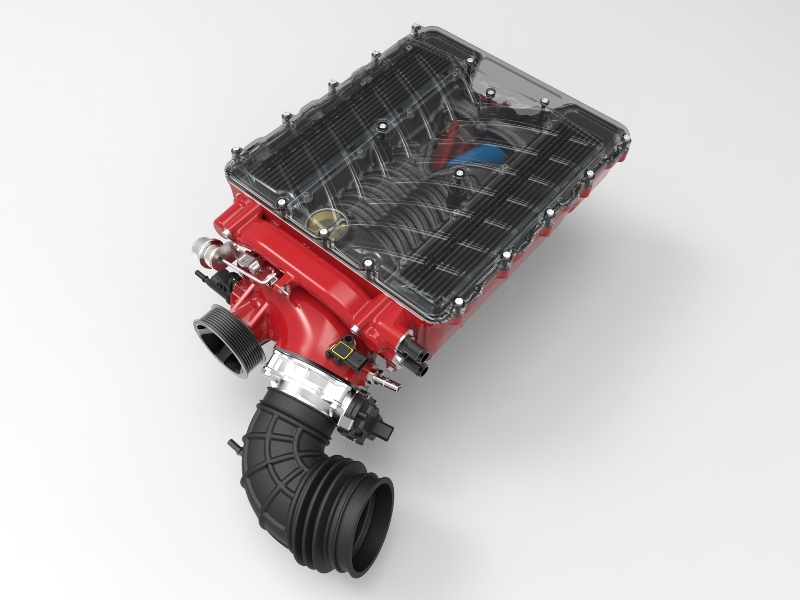 YellaTerra and Whipple Superchargers™ have been the pioneers and leaders of twin-screw supercharging. Whipple was the first to bring positive displacement technology to fuel injected, emissions legal GM applications. 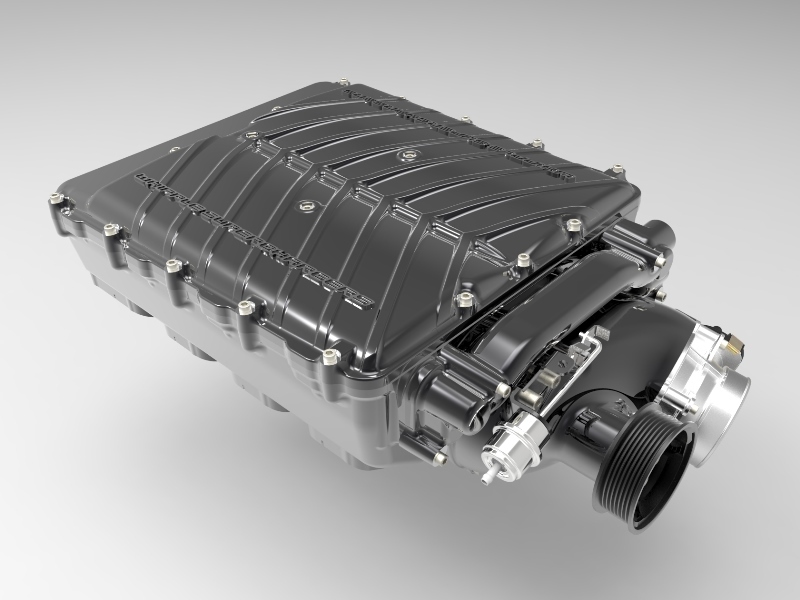 With over 29 years of GM twin-screw supercharging experience, Our team have now engineered the most powerful intercooled twin-screw SC system available today for your Chevrolet Camaro. 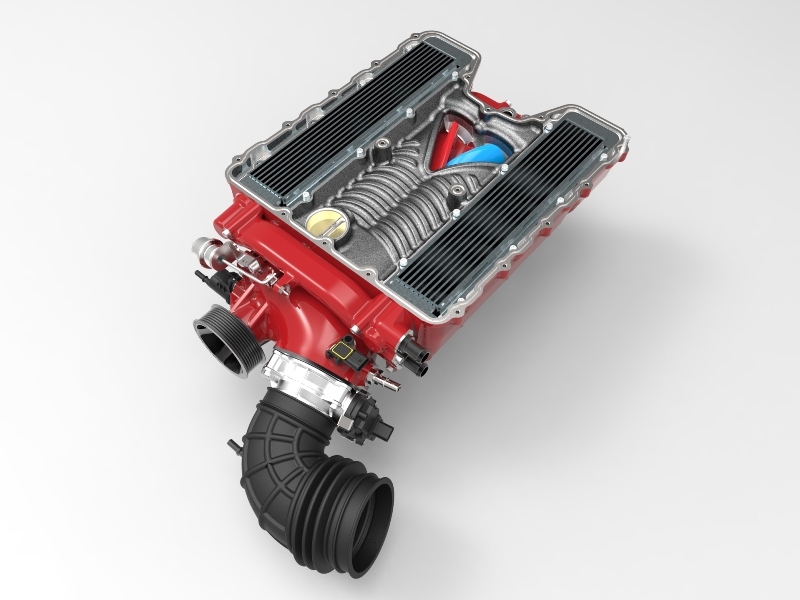 The new Whipple system features an inverted supercharger, massive Crusher style inlet and dual high density intercoolers. 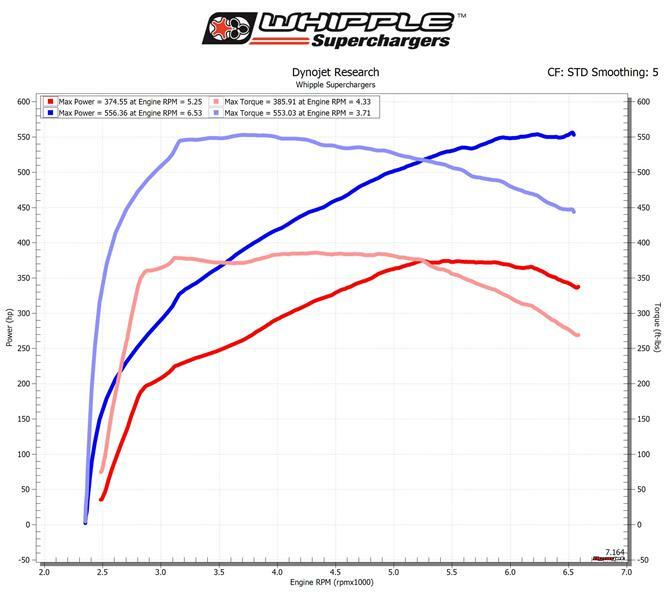 With all the latest technology, the all new Whipple system makes more power than any other positive displacement supercharger system on the market giving you tire frying, neck whipping power that will give you a grin from ear to ear. The new Whipple system is 100% complete and is designed for stock engines but has enough capability to work with heavily modified engines. The new system boast our massive oversized air-to-water intercooler for unmatched cooling capacity, Australian emissions legal, a unique front feed W175ax (a whopping 2.9 liters) integrated Whipple twin-screw supercharger that reaches 99% volumetric efficiency and industry leading power potential, oversized heat exchanger, high flow intercooler pump and all the main componets needed for installation. 2016 Whipple Supercharged Camaro LT1 direct injected motor featuring the upside down Whipple 2.9L twin-screw, dual high density intercoolers, 109mm inlet, 10-rib belt system and that incredible Whipple whine!